TAR 22 Ep 2 "Loose Lips Sink Ships"
Topic: TAR 22 Ep 2 "Loose Lips Sink Ships"
Re: TAR 22 Ep 2 "Loose Lips Sink Ships"
Just a single leg of that... leg, say from the paint Roadblock to the bird hospital, was 12km. The leg total was probably around 45km (I forgot where the Pit Start was.) This leg we have on Bora Bora? Doesn't look like anything more than 5-6km from start to finish. I meant longer time-wise, not distant-wise. To make up for that i hope the tasks are long. BTW, does anybody notice in this pic that Wynona has what it looks like a clue in her right hand? for some reason, it looks like a detour clue. Jet-skis look like they're going to Motu Tapu (Pit Stop island). Makes sense to me too, Neobie. Or an island or a hut? I'd say a hut, due to the white stuff (I presume rocks) around it. There's also a gaping black hole which I wouldn't attribute to ships. My guess about the HoO is that it will only effect the first 6-7 teams, since we dont see any other teams when Chuck and Wyona are getting the blessing. But there are two other teams right in front of them as they are running along the path...perhaps to the blessing? But it could be a water taxi? From other racer caps, the stilts is on the side of an island facing open ocean. I can't match mysterious object onto anything on/near Motu Tapu facing the open ocean. Boats would dock on the lagoon side of the island, that's where the jetty is. Perhaps a camera boat that's not docked? White = waves. Or the Roadblock doesn't take place on Motu Tapu. And the closest one to them looks like a M/M team. My guess: boat race and Chuck & Wynona that are surpassed by the twins (who arrived after them to the PS) on it. We see the RB clue in Bates hand as he is running to the Mat. Boat could be hanging around. This is from the PREVIEW above, Jennifer says "I am just SO tired". Clothes match those they are wearing THIS episode. Is this the ?? Motu Cafe, Motu Piti Aau I can't find a photo match. About the chat between the alliance members; it's a pity that we can't see clearly the time in John & Jessica watches. Yeah, but no hope from my caps! Y'all remember that every clip/promo/preview may have 800-1500 or more screencaps. Alenaveda and I try to choose the best ones, but if you ever think a series or one just before or just after would be useful, just ask! I never throw anything away, lol! 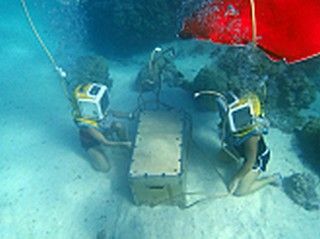 "Loose Lips Sink Ships"-- In Detour B, Roller Derby mom Mona must walk the ocean floor in search of sunken treasure on THE AMAZING RACE, Sunday Feb 24 (8:00-9:00 PM, ET/PT) on the CBS Television Network. Photo: Robert Voets/CBS ©2013 CBS Broadcasting, Inc. All Rights Reserved. "Loose Lips Sink Ships" -- In Detour B, Roller Derby moms Mona (left) and Beth (right) must walk the ocean floor in search of sunken treasure on THE AMAZING RACE, Sunday Feb 24 (8:00-9:00 PM, ET/PT) on the CBS Television Network. Photo: Robert Voets/CBS ©2013 CBS Broadcasting, Inc. All Rights Reserved. 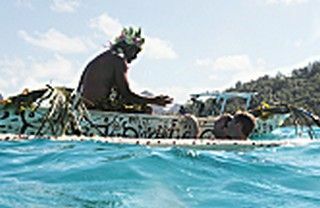 "Loose Lips Sink Ships"-- In Detour A, Hockey brothers Bates (center) and Anthony (right) must harvest two red pearls from an underwater pearl farm before receiving the next clue on THE AMAZING RACE, Sunday Feb 24 (8:00-9:00 PM, ET/PT) on the CBS Television Network. Photo: Robert Voets/CBS ©2013 CBS Broadcasting, Inc. All Rights Reserved. 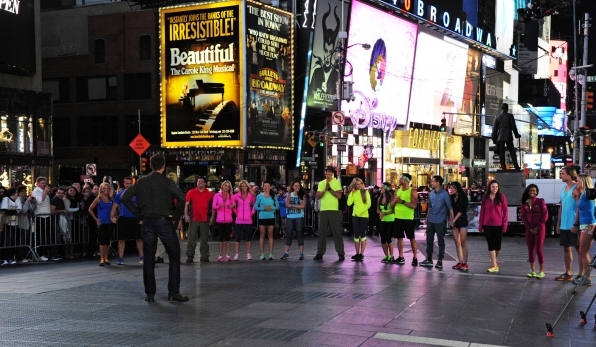 "Loose Lips Sink Ships"-- Newlyweds Katie (left) and Max (right) decide who will perform the Road Block onTHE AMAZING RACE, Sunday Feb 24 (8:00-9:00 PM, ET/PT) on the CBS Television Network. Photo: Robert Voets/CBS ©2013 CBS Broadcasting, Inc. All Rights Reserved. 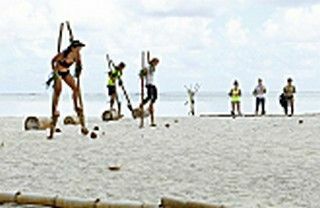 "Loose Lips Sink Ships"-- In this Road Block, teams must balance on traditional Polynesian sparring stilts and kick a coconut across a beach in order to receive the next clue on THE AMAZING RACE, Sunday Feb 24 (8:00-9:00 PM, ET/PT) on the CBS Television Network. Pictured from L-R: Pam, Max, Caroline, Katie, Jennifer, and Winnie Photo: Robert Voets/CBS ©2013 CBS Broadcasting, Inc. All Rights Reserved. 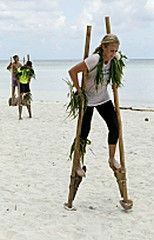 "Loose Lips Sink Ships"-- In this Road Block, Twin doctors Idries (left) and Jamil (right) must balance on traditional Polynesian sparring stilts and kick a coconut across a beach in order to receive the next clue on THE AMAZING RACE, Sunday Feb 24 (8:00-9:00 PM, ET/PT) on the CBS Television Network. Photo: Robert Voets/CBS ©2013 CBS Broadcasting, Inc. All Rights Reserved. So the two penalized team really caught up..
Good point! We also see Wynona arriving in full daylight, so my guess is extended pitstop as well, then some ort of HoOp?? Yes, that would fit with the Double LEG. Maybe the Blessing is, indeed, our HoO? Don't thinks so. That is a matter of hours, not days. And not uncommon for production to be there 3+ days on a regular leg..or longer. Lots of set up breakdown time. That's weird...i think it might be a 24/18 hours Pit Stop?